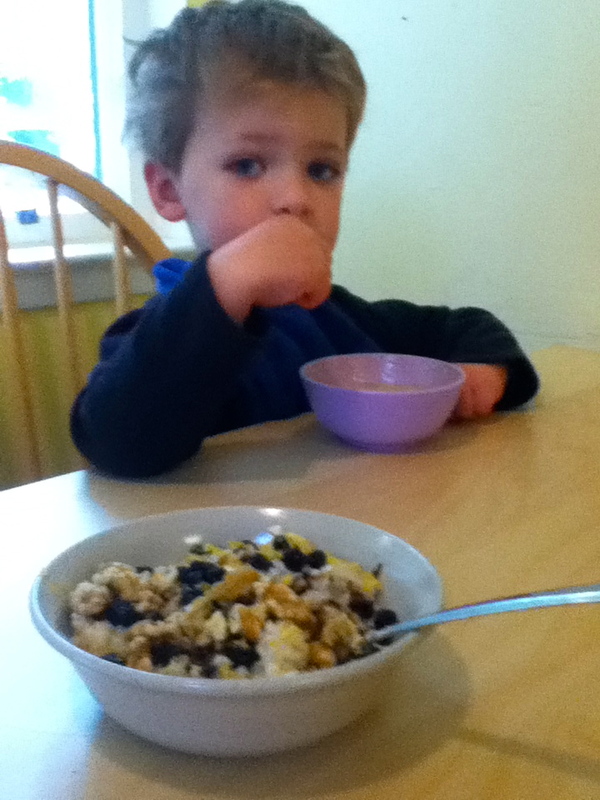 This oatmeal was an exercise in making breakfast as nutritious as humanly possible. First we soaked the oats, Weston Price style, then added iron-rich molasses, B-vitamin packed nutritional yeast and antioxidant-loaded blueberries. Also, it was delicious. Combine the oats, water and yogurt in a small saucepan and soak, at room temperature, overnight. Add the milk and a pinch of salt, then simmer a until the oats are fully softened. Top with a pat of butter, small drizzle of molasses, sprinkle of nutritional yeast, dried blueberries and chopped walnuts.